– WordPress “SNAP PRO” Multi Accounts Plugin for WordPress ($99.90) – You will be able to post to several accounts of the same type and get some premium features like random reposting and delayed autoposts. Lifetime plugin upgrades are also included. *Please note: Run-time API will be installed automatically. Run-time API is not downloadable. Run-time API is embedded in the plugin and will allow plugin to autopost to the additional networks. It can’t be used for any other purposes. Question: Can I cancel the subscription? What is going to happen if I cancel it? Answer: You can cancel at any time. If you cancel – SNAP API will stop working after one year from the day you purchased it and you will loose an ability to post to networks without native API like Google+, Pinterest, Instagram, YouTube, Flipboard, LinkedIn Company pages and groups, Reddit, etc.. You still be able to enjoy SNAP PRO Multi Accounts Plugin for WordPress and all it’s features for as long as you like. – SNAP Universal API (Run-time – not downloadable*) ($49.95/year) – You will be able to post to networks without native API like Google+, Pinterest, Instagram, YouTube, Flipboard, LinkedIn Company pages and groups, Reddit, etc..
Click one of the buttons below to pay with Paypal, Credit Card or Bitcoins. You will be charged one time for $49.95. Question: What is going to happen after one year? Answer: SNAP API will stop working and you will loose an ability to post to networks without native API like Google+, Pinterest, YouTube, Flipboard, LinkedIn Company pages and groups, Reddit, etc.. You still be able to enjoy SNAP PRO Multi Accounts Plugin for WordPress and all it’s features for as long as you like. 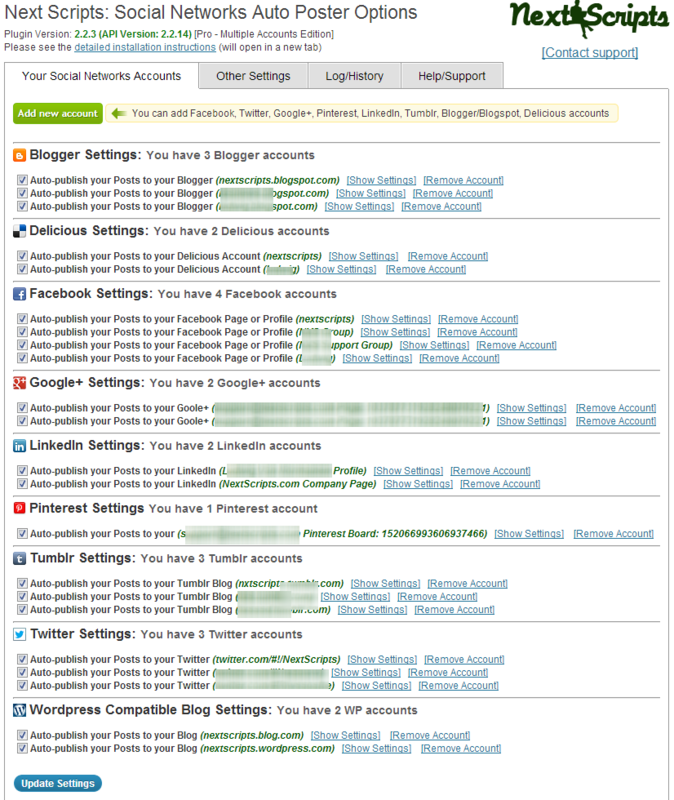 Question: What if I would still want to post to Google+, Pinterest and other premium networks after one year? Answer: You will need to subscribe to SNAP API. You can do any time after your free year is over or you can do it right now by clicking the green banner saying “Get SNAP Pro plugin for free with API subscription” above. 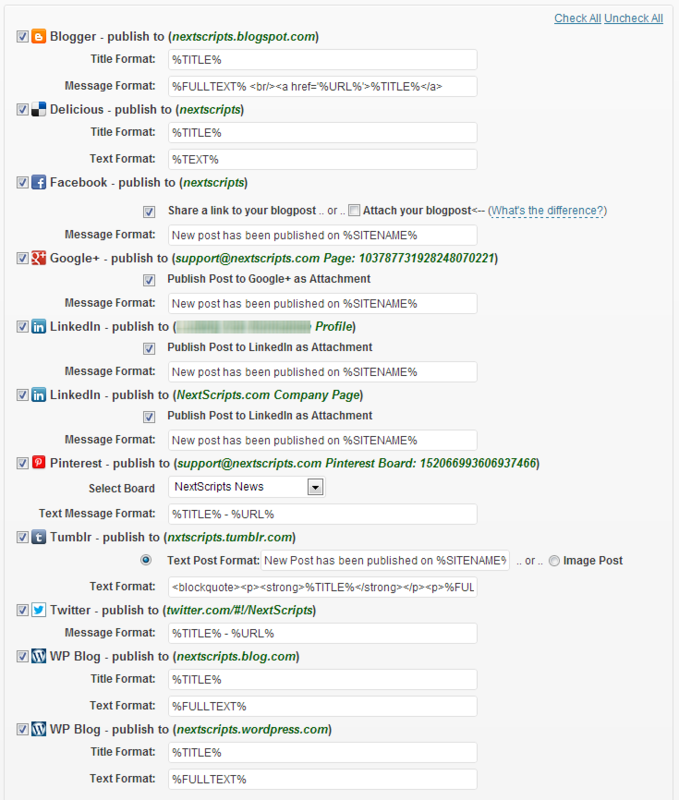 SNAP Universal API (Run-time Only) adds to SNAP Pro Wordpress plugin ability to autopost to Google+, Pinterest, Blogger (Advanced Autoposting), YouTube, LinkedIn Company Pages, VK.COM (Advanced Autoposting - adds nice Link Attachments). Lifetime plugin upgrades are also included. Please note: Run-time API will be installed automatically. Run-time API is not downloadable. Run-time API is embeded in the plugin and will allow plugin to autopost to the additional networks. It can't be used for any other purposes. ** Paypal users: Download links will be sent to your confirmed Paypal email only. Please make sure you have access to your Paypal email before placing an order. ** Credit Card users: Credit card processor takes it's time to process order. It could take from 10 minutes to 6 hours. You will get the email from us once your order is complete and your account and download links are ready. Question: I am confused! Is it a one time payment or yearly subscription? Please note, this version is not compatible with WordPress Multisite (ex-WPMU) Edition. We have a different plugin with full Wodpress Multisite Support.